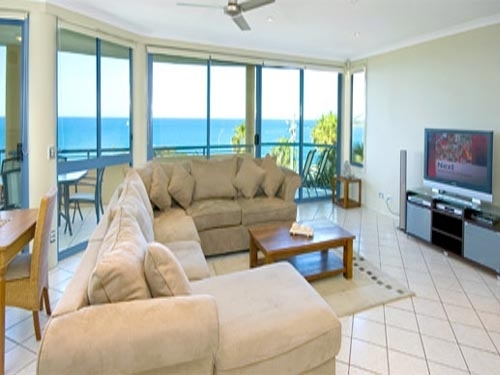 Alexandra on the Pacific Alexandra Headland is a four and a half star resort fully self-contained apartments superbly located Alexandra Headlands on the Sunshine Coast. Ocean views from every apartment. 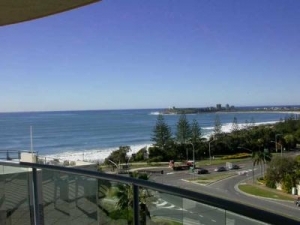 Our wide balconies offer vistas of sandy beaches and blue, blue sea as well as the intriguing Glasshouse Mountains. 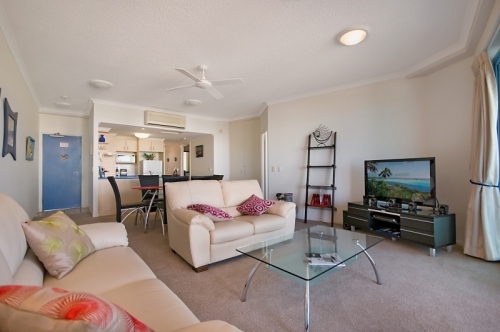 Decorated in a coastal theme and thoughtfully equipped, your apartment is designed for maximum holiday pleasure. Choose from 1, 2 and 3 bedroom Apartments. For those with a yen for the spectacular, enjoy the ocean panorama from our luxurious three-bedroom penthouse with unequaled ocean views or romantic special occasion suite with a King-size bed and King spa. Each apartment is air conditioned and has a bath, hairdryer, spa bath, ironing equipment, CD player, Cable TV, Internet access, fax/modem telephone line, and full kitchen facilities with mini bar. Check in time is usually 2.00pm, but if the apartment is available we allow guests in earlier. Linda & Wayne are the resident managers and will personally greet you on arrival. The entrance to reception is from Buderim Avenue.